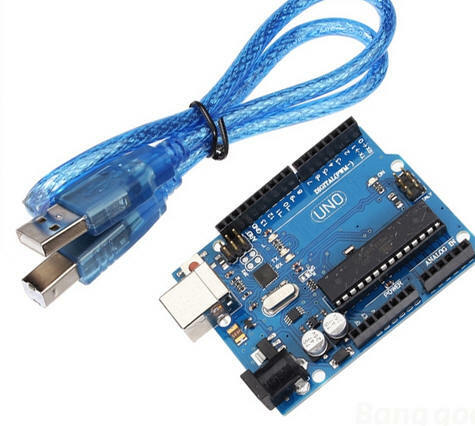 IMPORTANT Note (3-12-2015)- the IRRemote library will not work with newer versions of the Arduino program - I had to download version 1.0.1 from http://arduino.cc/en/Main/OldSoftwareReleases to get it to work. I also added codes for this Sony compatible remote. Those codes are the second code in each set as noted in the software. This universal remote is set for Sony codes and it works, too. 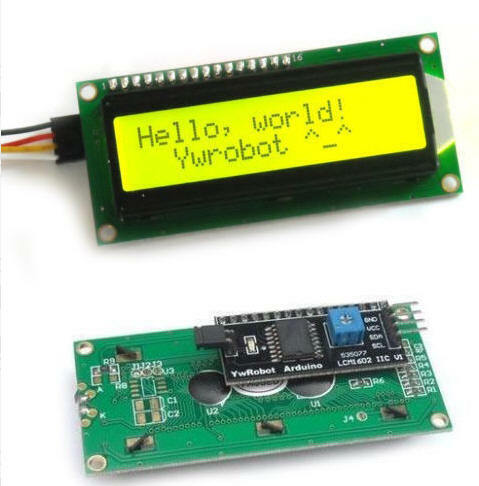 To give feedback on the controller's settings and current state of operation a two line by 16 character LCD display was added. 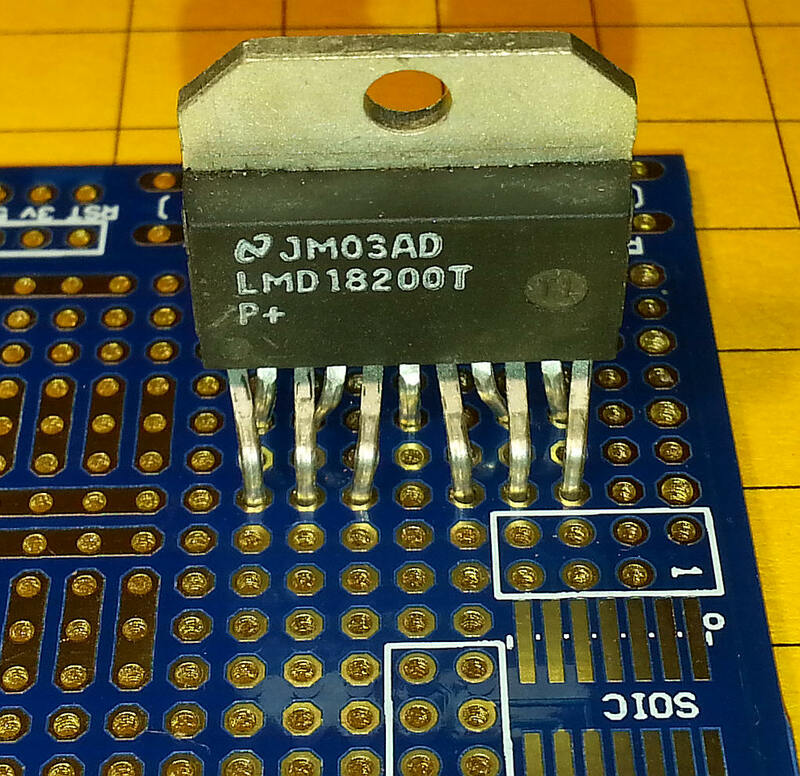 This is a device that only has four connections, +5 volts, ground and two for the I2C interface. The up and down arrow keys accelerate or decelerate the locomotive. The "*" key stops the train and the number keys 1--9 activate auxiliary functions. The zero key ("0") resets all functions to "off". The locomotive's DCC address is set by pressing the OK button. A two digit (00-99) address can be entered. Press OK again to return to the main screen. Note that the address is retained in memory until it is reset. 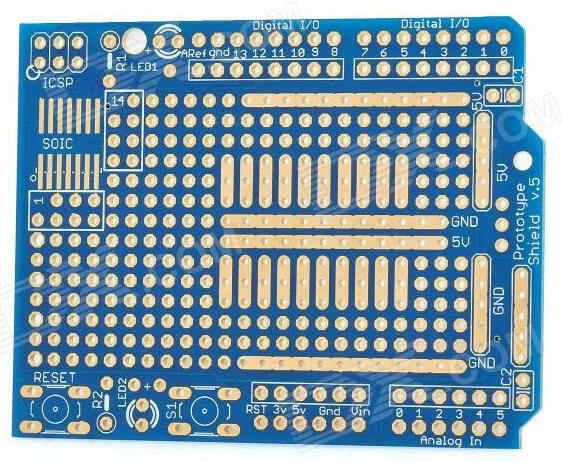 Since this is designed to be a stand-alone DCC controller power needs to be added to the DCC signals created by the Arduino. 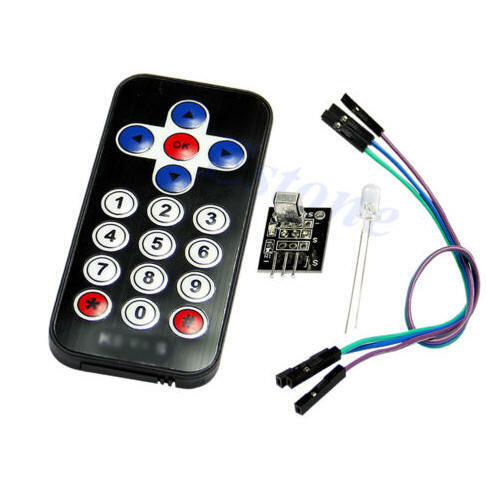 This functionality is provided by the 11 pin LMD18200 H-Bridge. This device is frequently used to power DC motors as it contains the electronic equivalent of a double pole, double throw toggle switch. This, along with the ability to change speed of a motor with a PWM signal, allows speed and direction control. 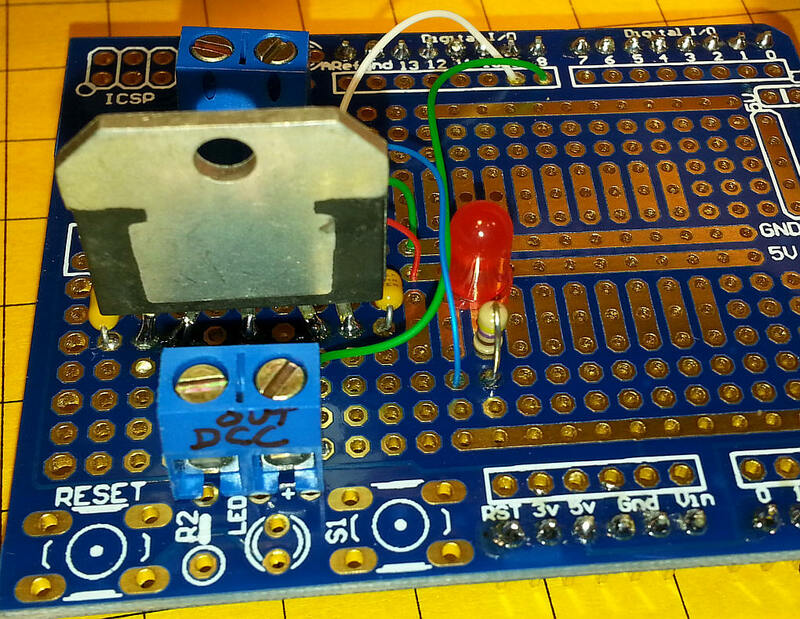 In this application the direction pin (pin 5) accepts the DCC signal and applies it to the track power. 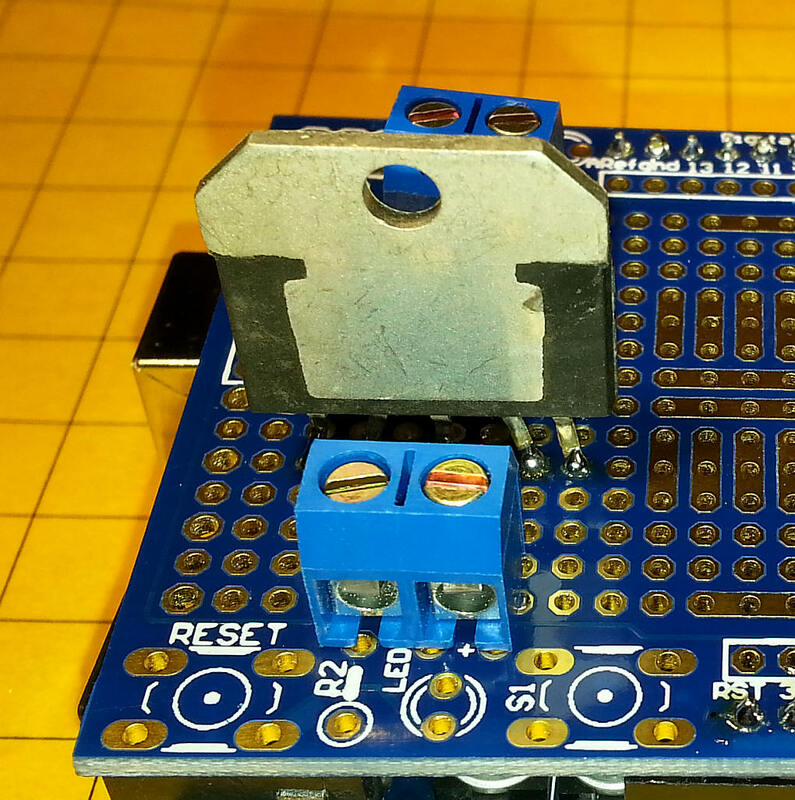 Note that the PWM pin (pin 5) is pulled high and that the brake pin (pin 4) is pulled low by the Arduino's pin 8. This allows you to disable power to the track by changing pin 8 from low to high. 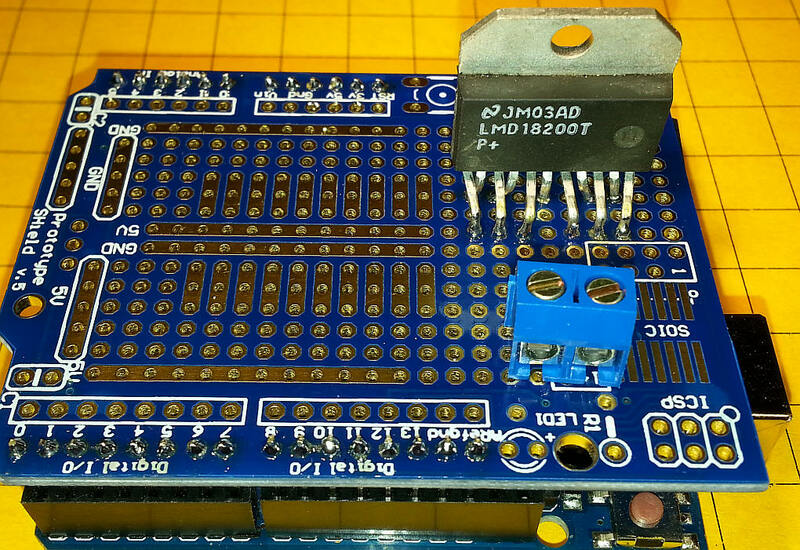 In keeping with the "shield" theory of building circuits for the Arduino I decided to build up a single board DCC controller circuit. The parts that were used are shown here. 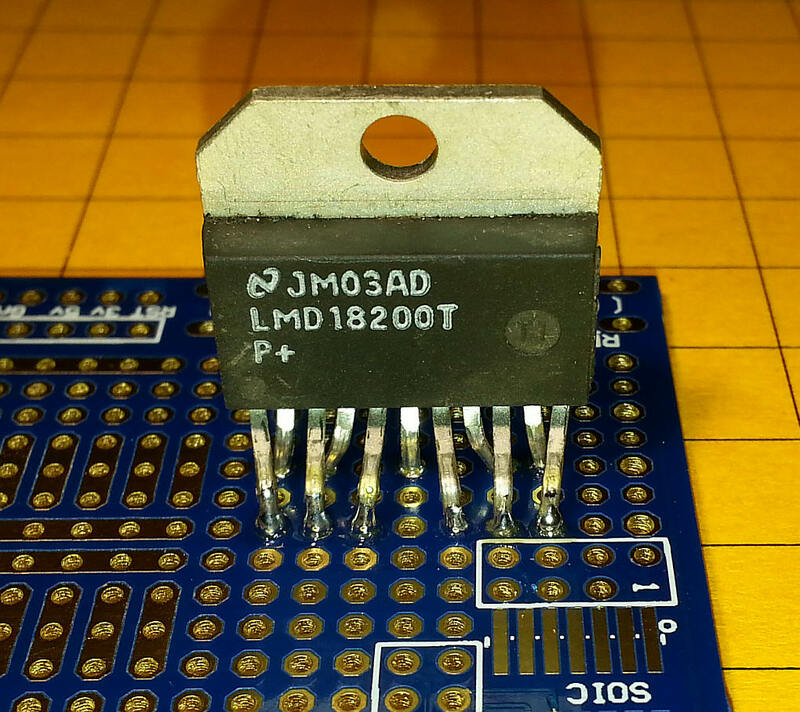 The LM18200 does not have pins that are on the normal 0.10" centers. 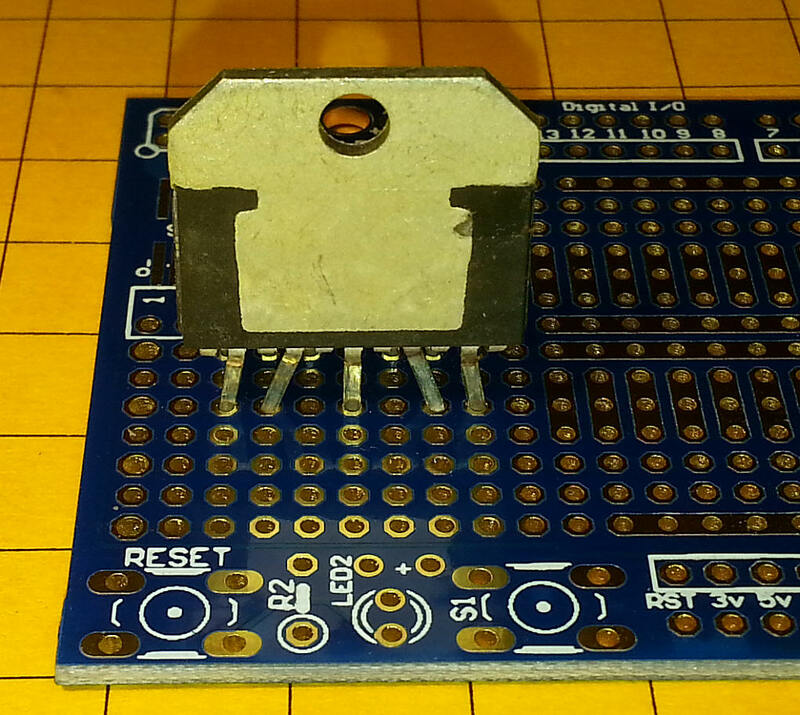 I found that I could bend them as shown in the next two photos and get them to fit into the prototype board. Note that some of these devices have thicker leads that might require some reaming of the holes to get them to fit. There is a row of unused holes between the front pins and the back pins. 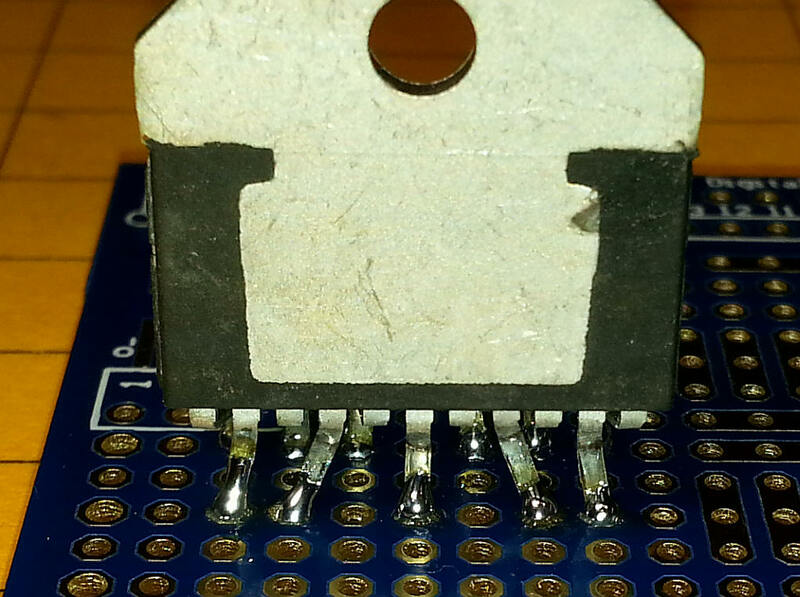 When you solder the pins make sure that solder is on both sides of the board. Two terminal blocks supply 12 volts DC (the block at the back of the photo) and connect DCC to the track (the block in the foreground). 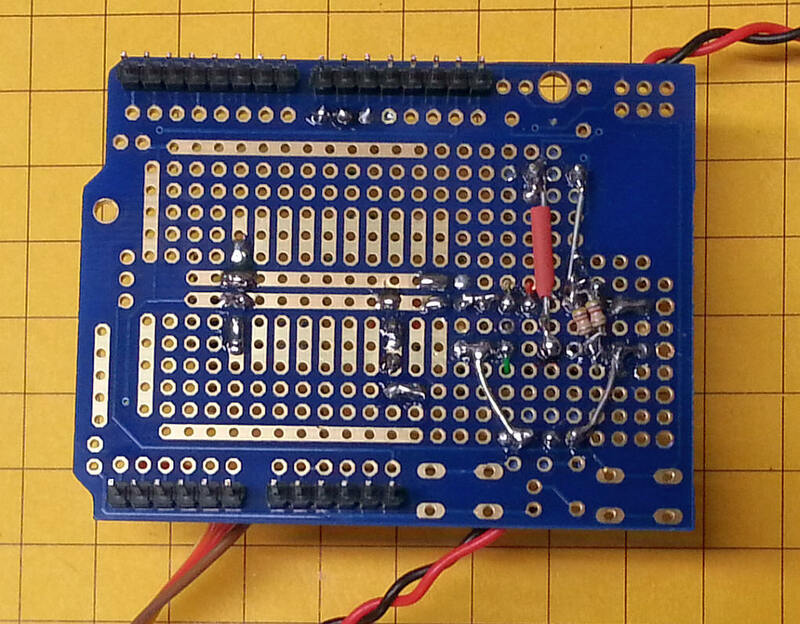 Some of the wiring is on the top of the board. And some of the wiring is on the back. Heavier wire was used for the DC in and DCC out connections. The red LED connects to the Thermal Warning pin on the LM18200. The little block to the left, labeled Keyes, contains the IR detector that "sees" the IR from the TV remote. The one shown came with the Keyes remote kit. 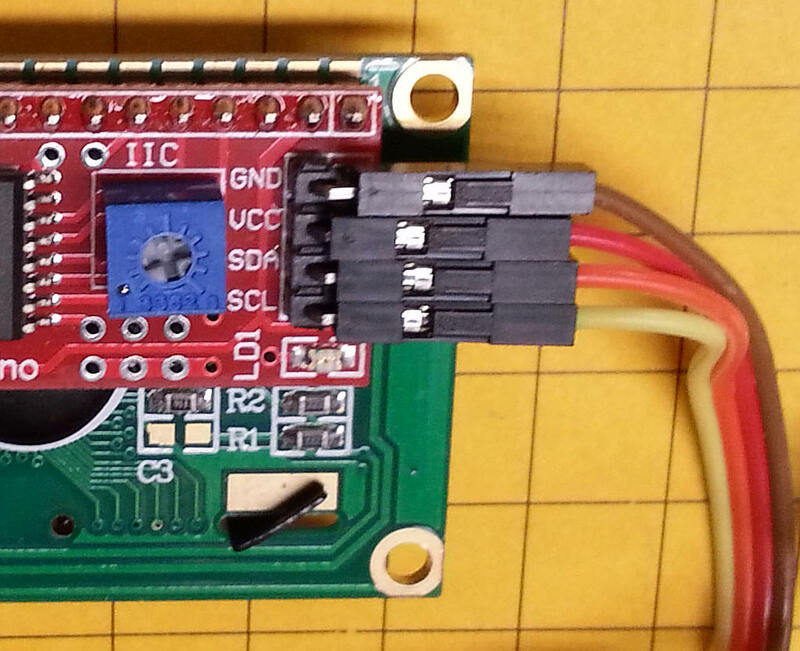 The power that goes to the DC terminals is separate from the USB power that goes to the Arduino. If you want to run the unit from one supply disconnect the USB and feed the power that goes to the DC in terminals to the power plug on the Arduino. The LCD has four connections on its back. GND goes to ground, VCC to 5 volts, SDA to pin A1 and SCL to pin A0. 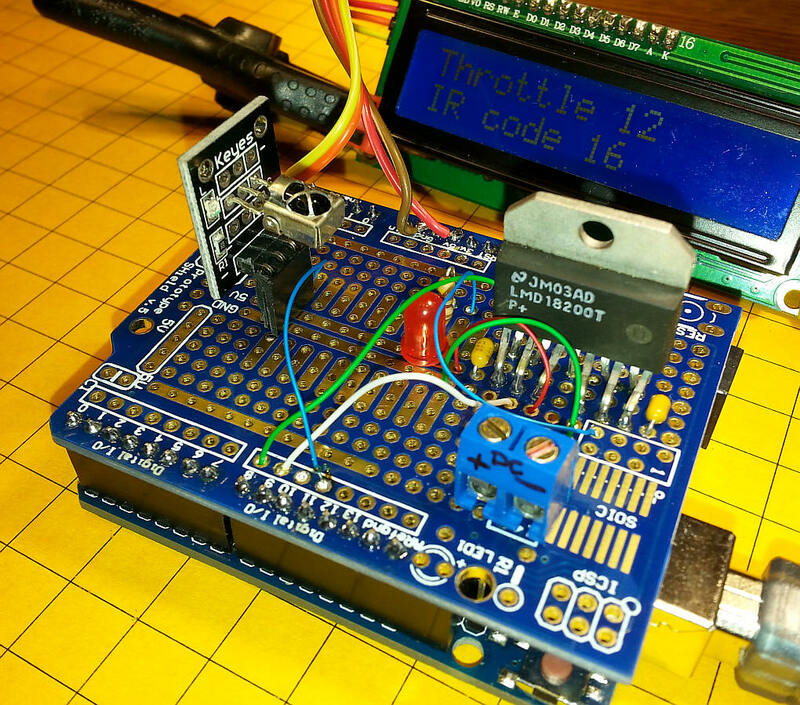 The schematic shows the Arduino (the four blocks of pins marked Digital, Power and Analog), the IR receiver, the LCD display and the LM18200. There are very few parts beyond a few caps and resistors. 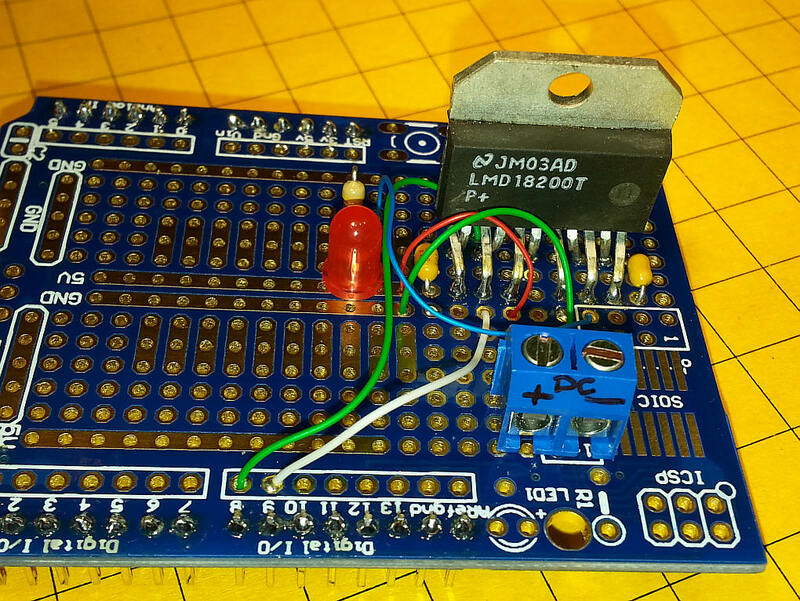 Note that the enable pin on the LM18200 (pin 4) goes to pin D8 on the Arduino. That gives you the ability to turn the H Bridge on and off from software. 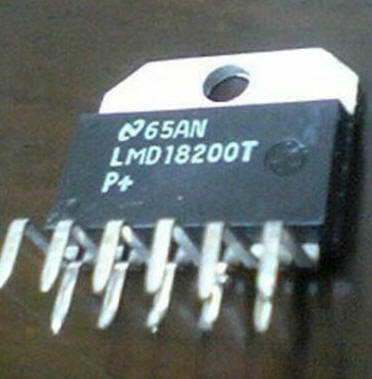 There is also a Current Sense output on the LM18200 but it is not currently connected. It could be hooked up to one of he Analog pins on the Arduino so that you could keep track of the power being pulled through the H Bridge. 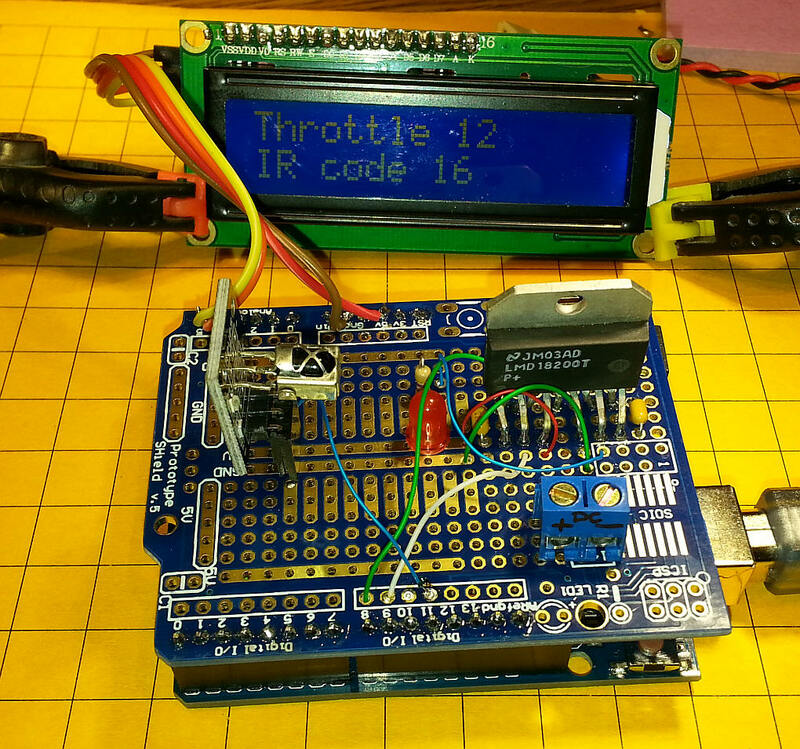 You could easily add a 3 or 4 LED bar graph to display the power level or add it to the LCD display. 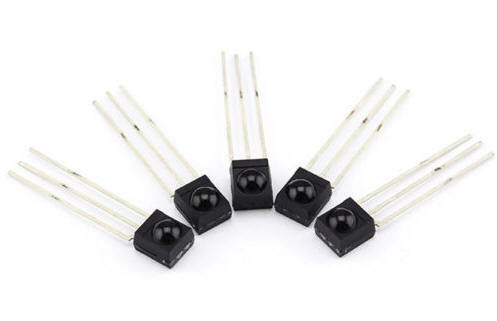 PLEASE NOTE: The order of the IR Receiver pins could be different from those shown in the schematic depending on which receiver you are using. int upFlag = 0;  // trying to get keys to repeat!